Ripley, George; Dana, Charles A., eds. (1879). "Wichita. I. 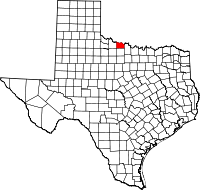 An unorganized N. W. county of Texas" . The American Cyclopædia.